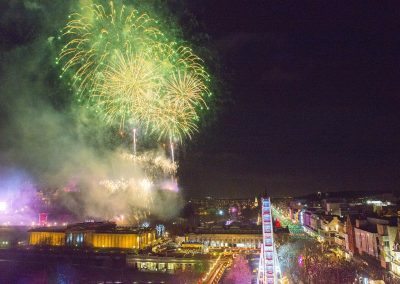 Once again we had the pleasure of producing the displays for Edinburgh’s Hogmanay, ringing in the New Year to capacity crowds of 150,000 over the two nights. 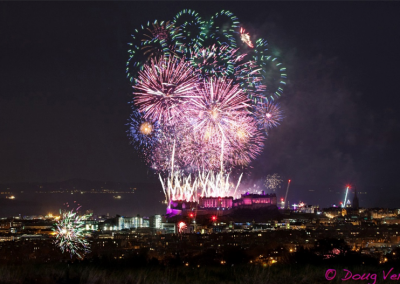 New organisers Underbelly made their mark on the long-established festival with a whole new range of street entertainment, a special child-friendly early concert called the Bairns Afore, a Ceilidh at the foot of Castle Rock and an extended 9 minute Midnight firework display. 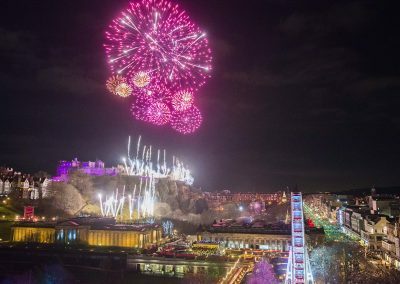 As a distinct difference from the typical Pyromusical medley we are used to designing to, Skye-based Niteworks and renowned Composer and Sound Designer Dan Jones were commissioned to work with us to create a custom soundscape that would really resonate with the audience and evoke the ‘sound of the Scotland tomorrow’. It was a perfect mix of the electric beats, haunting pipes and Gealic vocals of Niteworks married with the rousing performance from the 74-strong BBC National Orchestra for Wales. There was even a 1 minute section percussion solo where single shot comets and mines perfectly mimicked every beat of the drums with split-second precision. 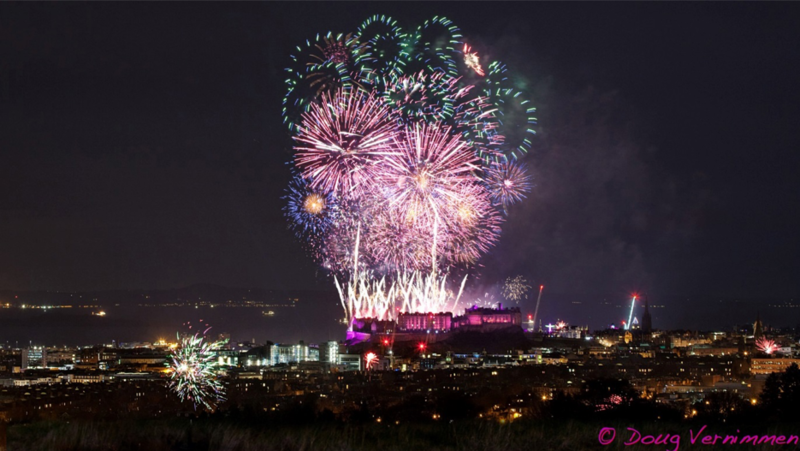 In all our crew of 14 in Edinburgh rigged and fired a grand total of 7 displays over a period of 36 hours from Calton Hill, West Princes Street Gardens and of course Edinburgh Castle. 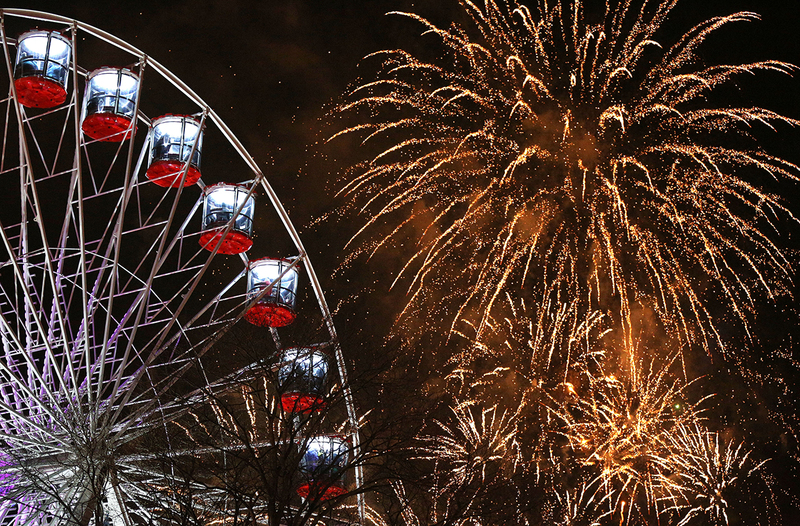 Over 3.1 tonnes of fireworks were fired, ejecting over 15,000 shots from 12 tonnes of equipment. 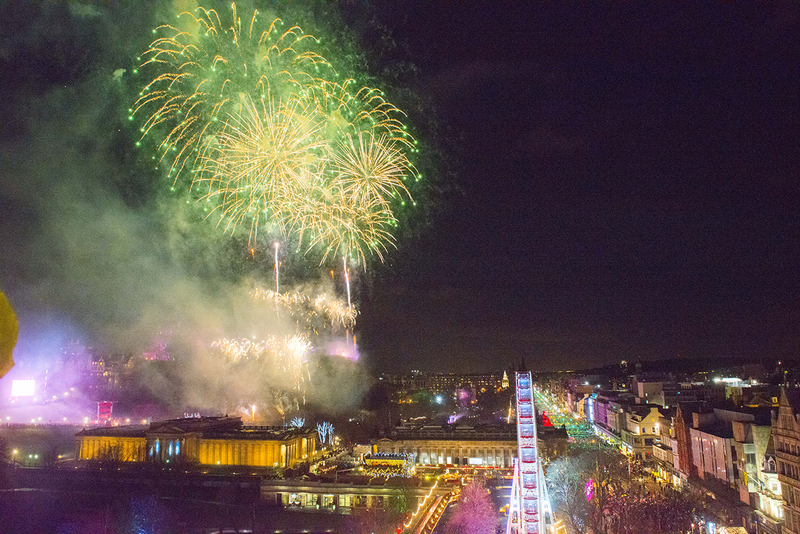 The team battled tirelessly through an assortment of severe weather conditions from heavy snow to the gale force winds of Storm Dylan that battered the city on earlier on New Year’s Eve (although thankfully clearing in time for the shows). 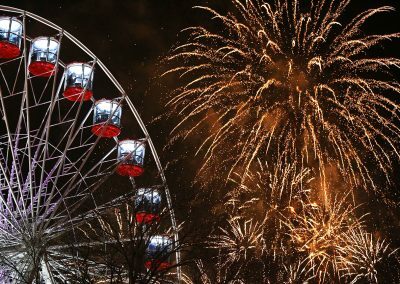 All the hard work pays off though when we feel the first shells lift at midnight and hear the crowd roar as the glittering finale fills the sky. 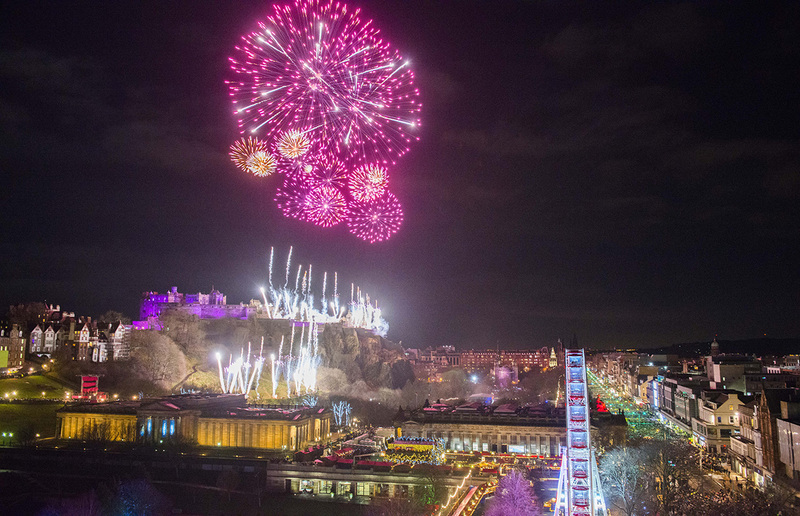 It was a thrilling experience to work with Underbelly on this revamped Hogmanay. We’re already looking forward to returning to mark the start of 2019!